In Zelda: Breath of the Wild, if you want to upgrade your armor, you need to use Star Fragments. They fall from the sky and have to be searched and collected. If you are going to search these start Star Fragments, then it will be a bit painful. In the game, you can only look for this item at night. Once the full moon is in the sky, it will be time for you to reach the highest point in the game. Then look for a sparkling star that falls from the evening sky. If you've collected enough, you can find a great fairy and improve your armor. If you don’t have a high mountain in the head, where Zelda can walk alone by night, we will help you, of course. We recommend the Twin Mountains in West-Necluda. There are also a few shrines nearby, which you can activate for the fast trip to get to this point again and again. Use the lower of the two mountains as he is still slightly higher. - Take rest at a bonfire. You must wait until 10pm. At this time the moon can be seen. - If it is not a full moon, you must rest at the fire until it shows up. - So as soon as the full moon appears in the sky, you have to save. Navigate to the Home menu of your device and end the game here. 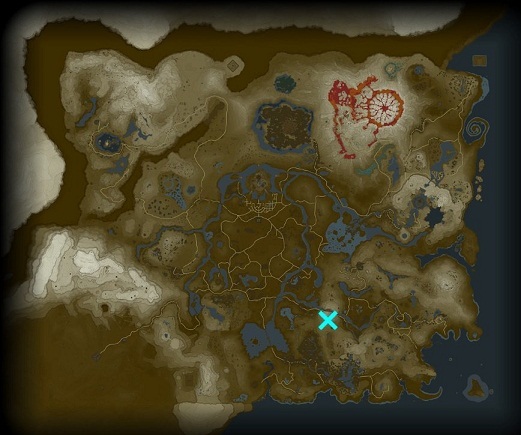 It is important to close the TLoZ Breath of the Wild. - Start the game again with the save point you just set. - Until 3 o'clock in the morning you have time to get Star Fragments. So look carefully at the time. - If you see a star, get the telescope out and mark the impact location. - Now collect the Fragments, and snap the whole fire eight times until the next full moon is seen in the sky. - Finish the game again via the home screen and restart it. - Now the procedure should be known to you. Repeat the whole thing.